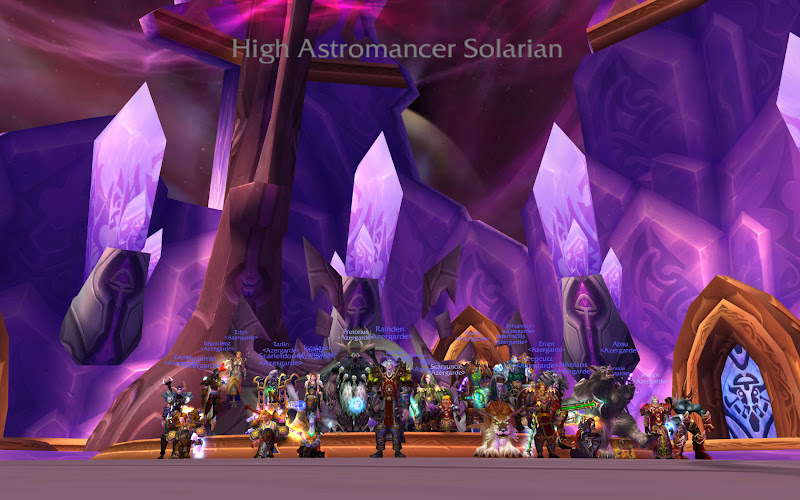 Azergarde downed High Astromancer Solarian on our first night of attempts! Here's a full res of the kill shot! Awesome jobs guys .... gratz to everyone! Must have been because Pretorius showed his ugly mug. LOL we <3 you Pret, wb! PRET TOOK MY SPOT! Congrats all! awesome job!